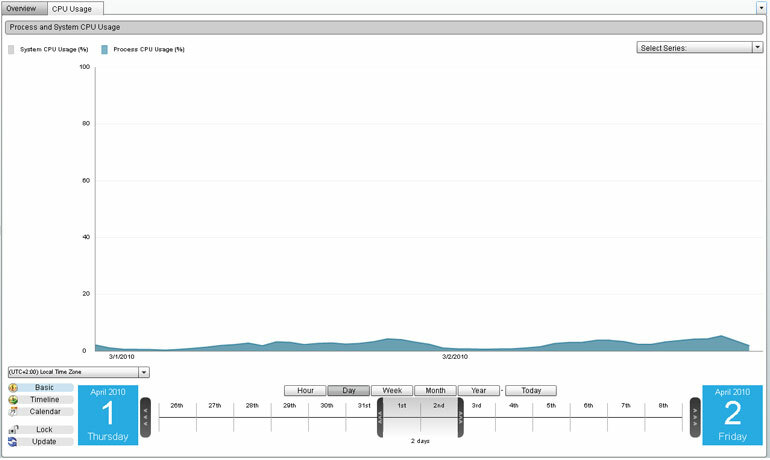 Graph indicates the percentage of CPU being used by the process (across time). 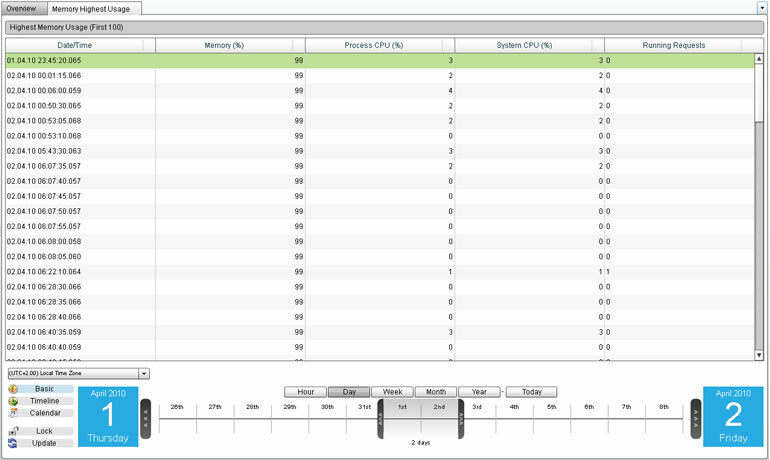 Compare Processes’ CPU usage and Process Memory usage in % (across time). Determine at what point the system used the maximum amount of memory. 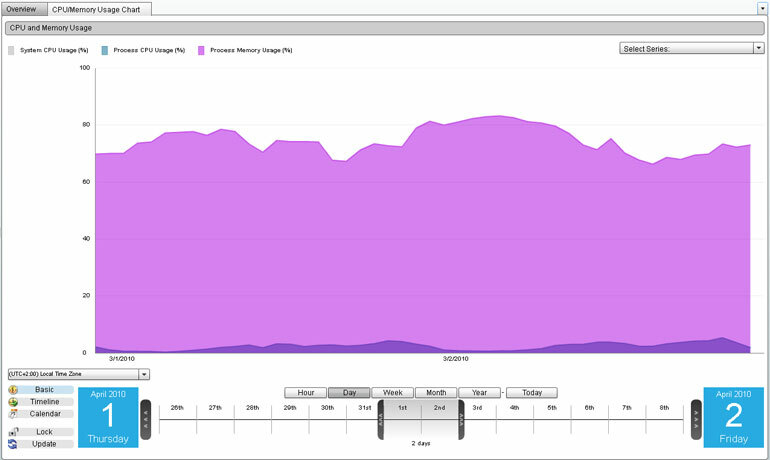 For each point FusionAnalytics also shows how much Process CPU and System CPU was being used.